Skirting Parade Regulations and Other Negative Carnival Trends!!! I have always loved Carnival, from the first parade I ever saw to the last one last night. Really looking forward to my new costume wrinkles for 2016 and the fact that I’ll be heading to the French Quarter for the first time in a decade. I’ll be meeting up with my girlfriend Sue at Molly’s at the Market. When I first came to New Orleans, the only real throws were short beads that had little plastic connectors. 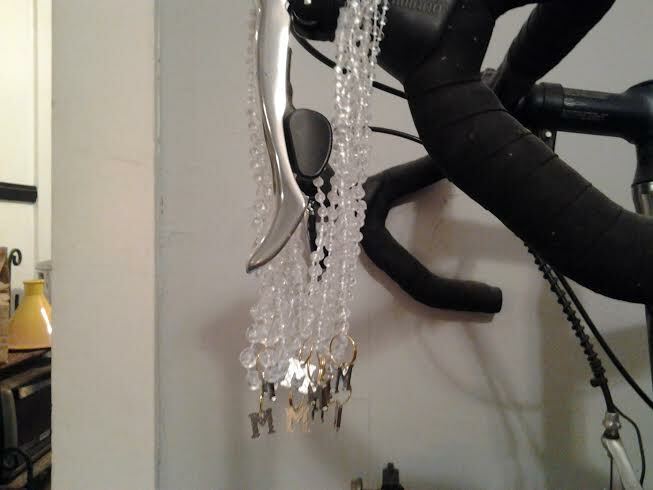 The photo below, Muses Rice Beads, shows the type of beads that were all in vogue at the time minus the Muses metal ‘M’. Medallions were timid little things, not the garish giants of today. There were also a number of Czechoslovakian glass beads. Now, throws are very diversified. 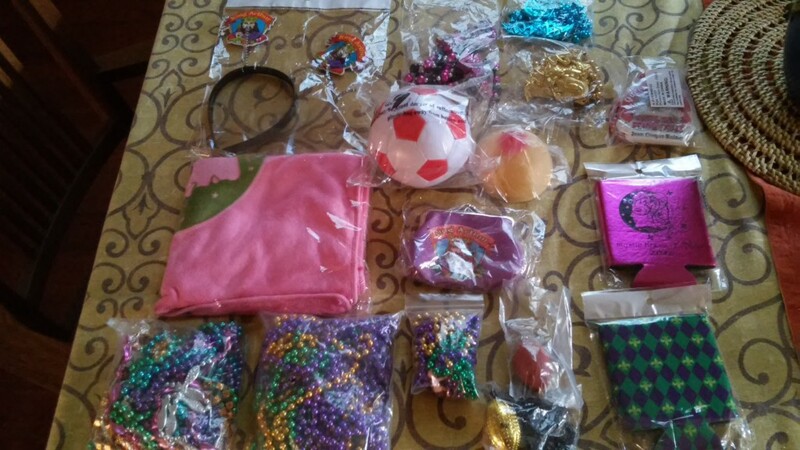 Blankets, light up beads of all description, koozies of all description, mini soccer balls and footballs galore, small stuffed animals of all ilk and variety, are just a sampling of the endless variety. Most come in it’s own plastic bag. So all this junk made of oil is now wrapped in a bag made from oil? Mardi Gras is getting grosser on an environmental level on an exponential level, and that’s a depressing and negative trend. How this came to pass is easy to explain. As throws got more expensive and complex, they warranted individual wrapping for ease of throwing. Sec. 34-33. – Ladders and portable toilets. 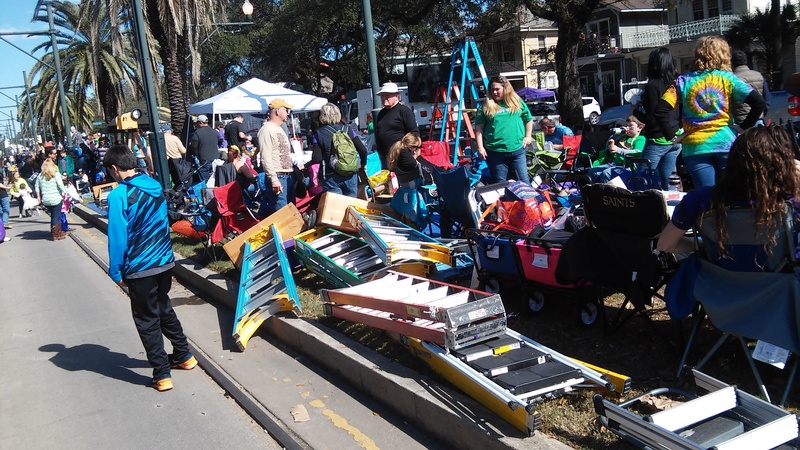 All ladders used by parade spectators shall be structurally sound. No ladder, chairs, ice chests, chaise lounges, barbecue grills, and other similar personal effects shall be placed in intersections or between curbs of public streets during the pendency of a parade. Ladders, tents, grills, and other personal effects shall be placed six feet back from the street curb. Additionally, the practice of fastening two or more ladders together shall be prohibited. It shall be prohibited to use ropes or other similar items to create a barricade or otherwise obstruct passage along public property, unless otherwise specifically authorized. 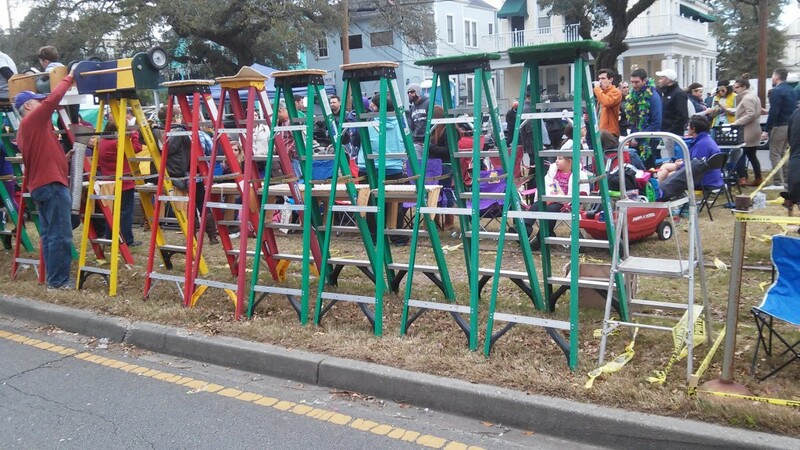 When I used to see parades on Napoleon Avenue around Prytania Street, where they often line up, the police used to make sure all ladders were 6 feet back from the curb. Around town on Canal Street for Endymion and on St. Charles Avenue, it doesn’t appear the police enforce these rule anymore. 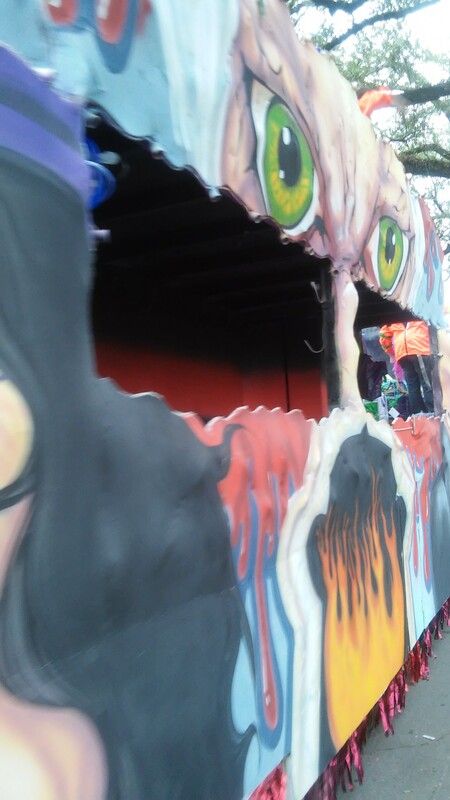 Most floats were full, but some, earlier in the season, were not. 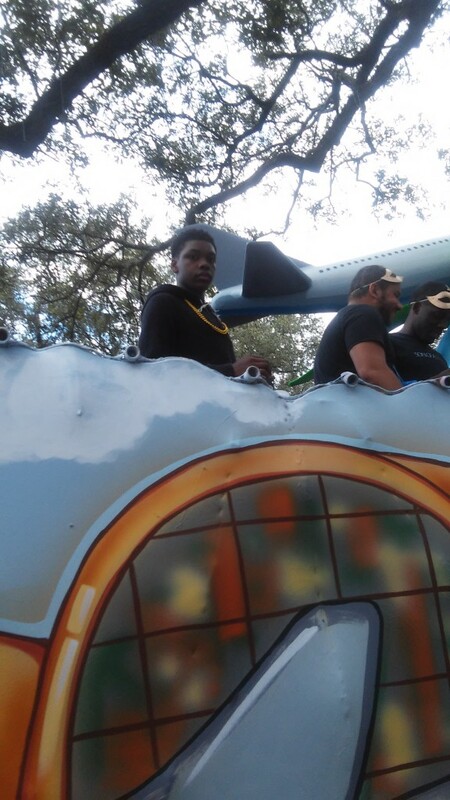 Paying for a float and not having any riders on it isn’t the best use of a krewe’s money. I am sure float riders are required to keep their masks on, and the vast majority do. Some parade captains feature less lax enforcement.